In recent years there has been wide interest in nonlinear adaptive control using function approximator models, either for tracking or regulation. Such techniques are often described as ′neural network based control′. In this book, the authors present a critical evaluation of the approximate model philosophy and its setting, showing situations in which its designs can be expected to surpass rival algorithms. 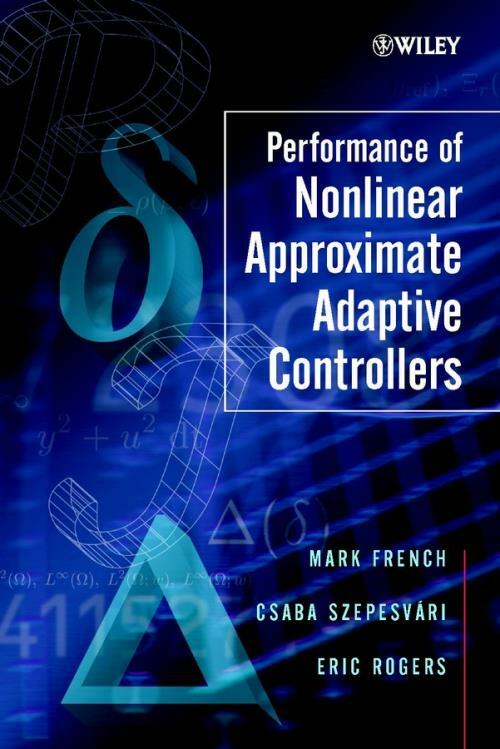 Featuring a toolkit that allows quantitative comparisons between competing control designs, Performance of Nonlinear Approximate Adaptive Controllers will prove an invaluable reference for control practitioners and theorists, AI researchers, applied mathematicians and graduate students in adaptive control and stability. Uncertainty Modelling, Control Design and System Performance. Function Approximator Designs for the Integrator Chain. Appendix A: Lyapunov′s Direct Method. Appendix B: Functional Bounds from System Identification.